One reader stands a chance to win a Bathroom Bizarre voucher to the total value of R27 000. Bathroom Bizarre offers one of the widest ranges of sanitaryware in South Africa. It is a stockist of various leading local and international sanitaryware brands, including the coveted Spanish luxury brand Roca. 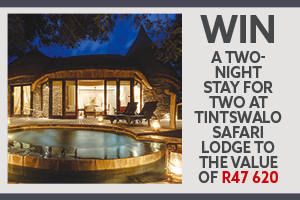 Typo: In the February issue of SA Home Owner we incorrectly stated that the giveaway ends 28 January 2019. Please note that the giveaway ends 28 February 2019. Three readers stand a chance to win a two-night stay for two people sharing at the five-star D’oreale Grande Hotel at Emperor’s Palace, including breakfast, dinner and show tickets, all to the value of R16 000 each. 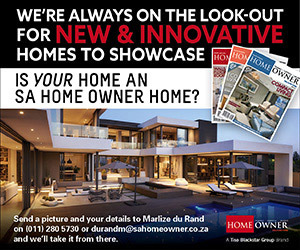 Each copy of SA Home Owner comes with a complimentary tear-out ticket to Decorex Durban. The ticket allows you access to Decorex Durban on Friday the 22nd of March 2019 only. Valid for one person only. 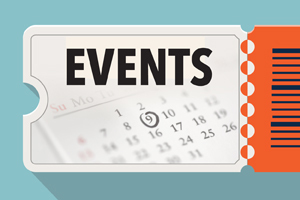 The February issue comes with a complimentary tear-out ticket to HOMEMAKERS Expo JHB. The show will present the very latest in home renovation, interiors, soft furnishings, lighting, kitchens, furniture, and lots more. Vencasa and SA Home Owner are hosting an event on Saturday, 16 February where you will discover how sleep affects your relationship. We are giving away 50 single tickets and goodie bags to the first 50 guests to book a ticket. Subscribe or renew your subscription to SA Home Owner for only R307 for 11 issues and stand a chance to win 1 of 10 Simply Bee hampers to the total value of R12 500. 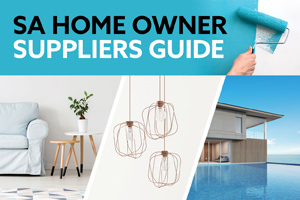 Get your February ’19 copy of SA Home Owner and enter these giveaways today! Please help me to revamp our dull bathroom aseblief!! The Chinese zodiac calendar describes 2019 as …. Year of the Pig 2019 : a year of fortune and luck! With 27k I cam be very fortunate and have our bathroom revamped!! I am counting on you!! February is my birthday month, I have NOT had a holiday with my better half and this looks so majestic and would love to be their guest!! Besides it is 2019 – the year of FORTUNE AN LUCK – you can add your bit for me!! We are building our dream home and our bathroom is empty so winning this voucher will be a great. This will be our 1st bathroom ever. Please make our dream come true. This would be an aeesome prize to treat ourselves to a holliday. Crossing my fingers. I love how zen and modern this bathroom looks! My bathroom needs some TLC. I would love update!! My bathroom is a disaster I wish I can win so that it can be a better place to rest when the nature calls and rest in that bath you know, winning will be a blessing. Winnig the Bathroom Bizarre voucher will be a dream come true. The tiles are covered in wet blotches & we have not been able to use the shower the past year! Bathroom Bizarre is the future and perfect help that I need to revamp our bathroom: our own footprint in style. The bathroom bizarre voucher would be so amazing to receive. I have not long moved into my first house and I don’t have an ensuite bathroom. I would love to break through to the a joining bedroom and make that our ensuite bathroom but I dont have the budget to get a new bathroom. The spare bathroom down the passage is also in a bad way and needs an upgrade. Please this would make an awesome birthday present too. Would love to treat my mom for a holiday treat for her 50 birthday she truly has not gone way since I was seven now i am 25 she just cant truly afford it tnx for your time daughter Amy. Bathroom Bizarre … all the way. My daughter’s bathroom has mould and damp behind her bathroom vanity. Unfortunately there are no funds to be able sort this and it is in desperate need of being attended too as the damp is spreading. The Bathroom Bizarre voucher would be a blessing in disguise to our much needed bathroom upgrade. I would love to win the two night stay at the five-star D’oreale Grande Hotel at Emperor’s Palace, including breakfast, dinner and show tickets.